According to officials, trainees will learn necessary skills and strategies by engaging in tough, realistic campaign simulations, and work with peers to develop a plan to run for office and win. Mayor Robert Garcia, state Sen. Ricardo Lara, LA County Assessor Jeffrey Prang and Palm Springs Councilwoman Lisa Middleton, and former Houston mayor and current president and CEO of?LGBTQ Victory Fund Annise Parker will be among the LGBTQ politicians who will speak with the trainees throughout the four-day event. “LGBTQ people continue to be severely underrepresented in government, and this training will bring in approximately 30 LGBTQ people from across the nation who are in the process of running for office or plan to run for office soon,” said spokesperson Elliot Imse. Trainees are provided airline ticket vouchers to and from the training courtesy of Southwest Airlines while vouchers last. Organizers said all trainees are asked to stay in the hotel and pay the registration fee that ranges from $350 to $580, which includes a four-daythree-night hotel stay (Thursday-Sunday), most meals during the training with the exception of dinner on the last night, and training materials. Trainees are asked to wear comfortable clothing and bring a laptop. They will receive all of the training materials via USB flash drive, so a laptop is necessary. If the participant does not have access to a laptop they can purchase a binder with printed training materials. 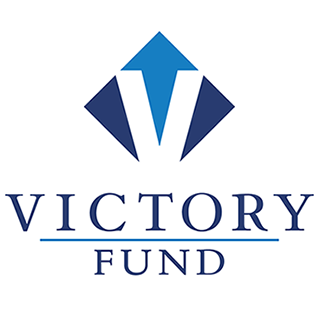 Victory Institute’s Candidate & Campaign Trainings are supported by the Donald A. Burns Foundation. Trainings will be held at the Hilton hotel located on 701 West Ocean Boulevard, beginning at 11:00AM. For an application to attend the training click here. For more information click here.